When one hears of a one-ton pickup truck from France with an amazing towing capacity, only one name comes to his mind, the 2017 Renault Alaskan. 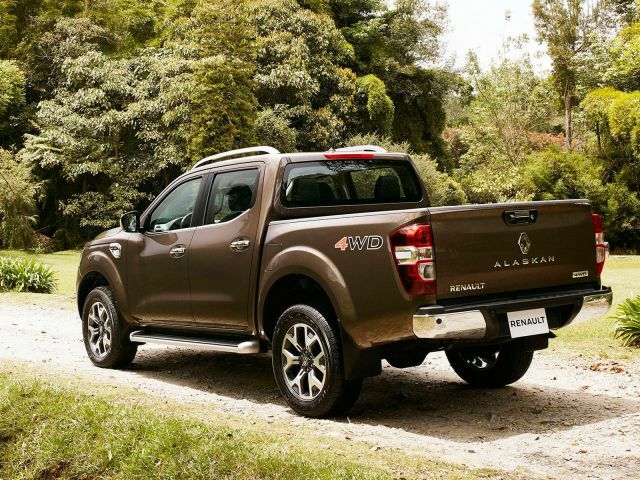 Taking inspiration from its sister the Nissan Navara NP300, the Alaskan has been built to succeed. As compared to Nissan, the Renault has decided to equip its Alaskan with top notch quality specifications and is going to be released by early 2018. The competition will be close between them to prove their mettle. With the large Alaskan chrome grille, a glossy black trim and deep cut bumper with carved fog lamps; it appears to be far ahead in its front end design specs. LED projector headlamps along with daytime running lights provide a better facial look as compared to its elder sister. Sculpted fenders coupled with sleek athletic body lines give the 2017 Renault Alaskan a much more premium finish. In addition to this, the Alaskan Blend lines provide a sporty look to this pickup. It is sure to have a 5-link rear suspension to improve drive quality and ground clearance which will be around 230 mm. 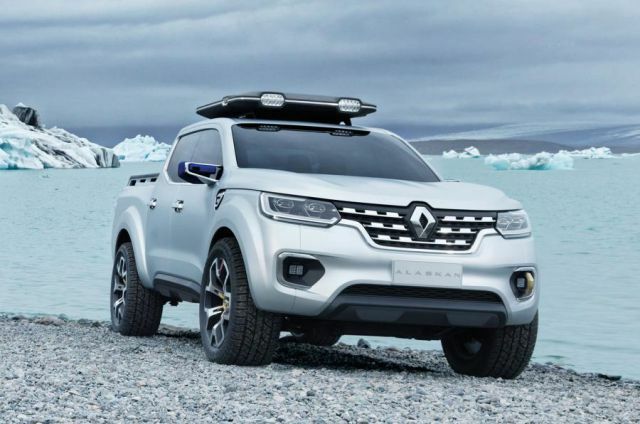 Along with these 2017 Renault Alaskan will also include standard 16-inch wheels coupled with all terrain, all weather tires but 18-inch wheels will also come as an option. The Renault has borrowed a lot of interior designs from the Navara. 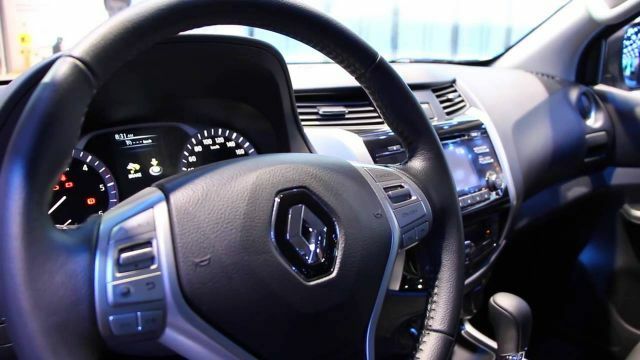 With all leather finish, the Renault has coupled a 5 inch TFT infotainment system which includes smartphone compatible audio system, CD player, and Bluetooth compatibility. The Alaskan is set to come with a seven-inch sat-nav system along with 8 speaker stereo surround sound. Moreover standard features such as push button ignition, steering mounted cabin controls, dual zone climatic control and automatic air conditioning will come with all its variants. 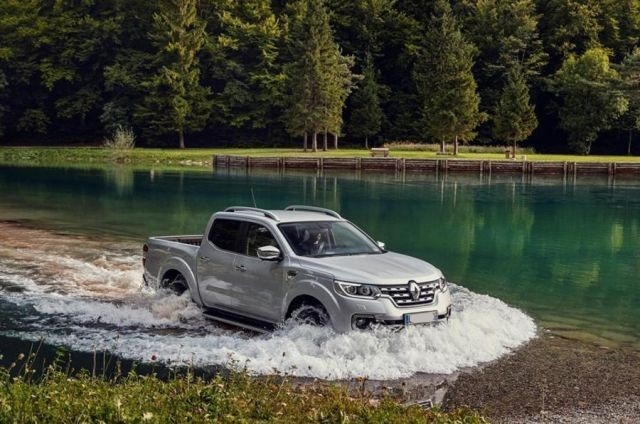 The 2017 Renault Alaskan is built on a fully boxed frame and is likely to possess a 2.3-liter twin turbo diesel 4-cylinder engine churning out 160 horses and 170 lb-ft of torque. Another powerful variant is rumored and that is a 2.5-liter gasoline-burnt engine producing 190 HP. This French pickup is expected to have a fuel economy of 25 mpg on highways and 18 mpg in cities. 4×2 (for the daily commute with better handling and fuel economy). 4×4 (for off roading, hill climbing with a little sacrifice in EPA ratings). Electronic Limited Slip Differential to monitor wheel speed. Vehicle control assists such as Hill Start Assist (HSA) and Hill Descent Control (HDC). ABS, EBD, Electronic Stability Program and Brake Assist also comes as standard in Renault Alaskan 2017. 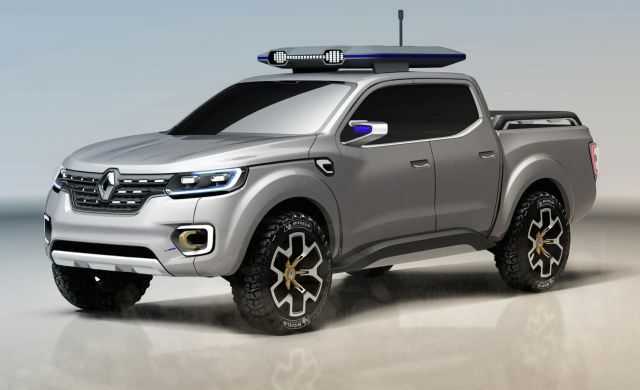 The Renault Alaskan is set to have 2,205 lbs. of towing capacity. Considering its rivals, it falls slightly behind Ford’s pickups but outruns the Chevrolet Colorado having a towing capacity of only 1,630 lbs. Noteworthy to mention, this pickup dominates over its sister in this segment as well. The new Alaskan will have a maximum tow rating of 7,716 lbs. 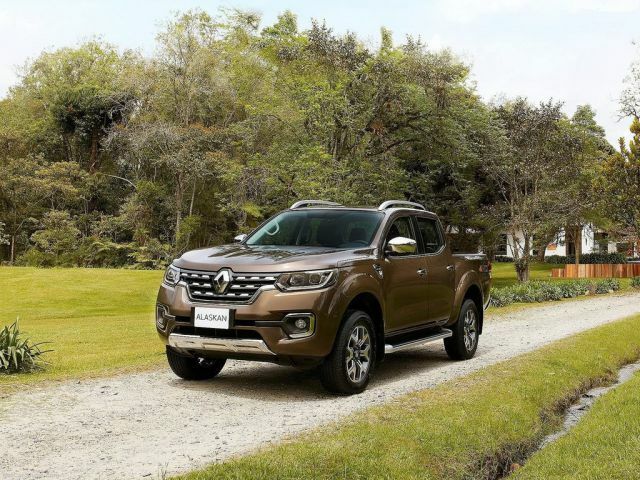 With this, the 2017 Renault Alaskan gets a big edge over Nissan Navara. The Alaskan’s starting price will be around $35,000. Its release date is set for the middle of 2017.